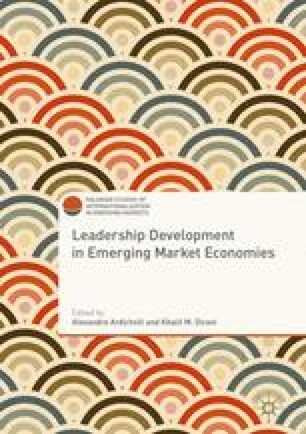 This chapter serves as an introduction to the monograph that addresses an important and so far largely unexplored area of practice and research: leadership development (LD) in emerging market economies. Chapters in the book cover a wide range of LD practices and topics. While some authors focus exclusively on LD in the business sector, others are discussing such topics as LD in higher education (see the chapter on Indonesia), the role of higher education institutions in LD for managers and executives (e.g., chapters on China, Ghana, Poland, Russia, and South Africa), the role of religious institutions (Ghana), and LD in the government and public sectors (China, Ghana, Malaysia, South Africa, and Vietnam). Chapters from Brazil, Malaysia, Russia, Thailand, South Africa, and South Korea include case studies of LD in individual companies. The chapter provides an overview of a number of common themes, identified by the authors based on the analysis of the book chapter content. These themes are grouped under three topical areas: factors related to national and ethnic cultures and norms, legislative and political frameworks, and global influences.